When you are looking to buy the best and highest quality kitchen cabinets to install in your HDB, you should consider the color of the product you purchase. A great idea would be to settle for neutral colors. However, you can also choose to match the color of your preferred kitchen cabinet with the wallpaper in your HDB to maintain some uniformity. Settling for the right color is important especially if you want to greatly improve the look of your kitchen. A number of furniture stores in Singapore will provide you with a number of color options to choose from. 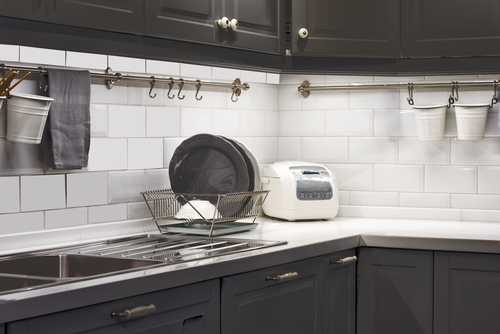 You can never go wrong with calm colors as they improve the atmosphere in your kitchen a lot. You should ensure that you know the measurements of your kitchen well by accurately measuring it in order to get the right size of kitchen cabinets to fit inside it. You should have this information before going out to the stores to look for the best kitchen cabinets on offer. Getting the right size of cabinets will be advantageous as it will save you a lot of time and money in the end. You will not have to waste time and spend more resources trying to create room for your new kitchen cabinets. It will also ensure that you have peace of mind as buying large cabinets will present a huge headache since you cannot use them. In order to get the best kitchen cabinets for your HDB, you have to take your time and look for the best by checking the materials they are made from. Going for the high quality materials will guarantee you of having your cabinets around for a long time due to their durability. You should consider choosing kitchen cabinets made from the recommended types of wood like hard maple, red oak, hickory, cherry and white oak. Yu could also research further in order to find other sturdy materials used for the construction of durable kitchen cabinets. When undertaking a kitchen renovation project, you should carefully consider the items that you will be placing on your cabinets before setting out to buy them. This will be important to consider as the purpose you intend to use the kitchen cabinets you settle for will largely determine the interior design you will go with. Your need for the kitchen cabinets will also determine the size that you purchase as they are available in different sizes to cater for the diverse purposes and needs of individuals. You should also ensure that you consider the price of the kitchen cabinet you intend to buy as it is a very important point to consider. You should conduct a window shopping whereby you consider all the types of kitchen cabinets that catch your eye, check their prices and then compare them before making the final decision. As you do the comparison, a number of things should be at play like the purpose of the cabinets, space in your kitchen, durability, design, shape and type of material. After identifying the exact type that you want to buy, you should compare the prices it is offered at by the different stores present in Singapore in order to get the best price. It is advisable to ensure that the kind of cabinet you settle for in the end should be priced reasonable and at a figure that is well within your budgetary limits. It is important to check and consider the right design of the cabinets you need in your kitchen when purchasing them. 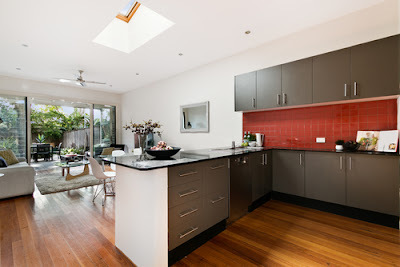 The main aim of undertaking a kitchen renovation project is generally to improve its appearance and the design that you choose plays an important role in altering this look. There are so many cabinet designs out there in a number of Singapore furniture stores to choose for your kitchen upgrade. There are innovative, luxurious and artful designs available in the market that will match the interior design of your kitchen seamlessly. The different designs will enable you to come up with a personalized, traditional or European-inspired kitchen for your home. In Singapore, most homes are small and compact therefore making adequate use of the available space vital. As the kitchen space is mostly limited, making the choice of the perfect kitchen cabinet to use in your home becomes a very important decision. 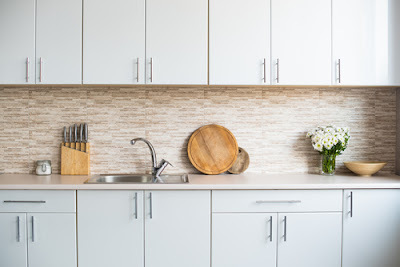 Finding the right kitchen cabinets is often tricky and requires you to be smart in order to find the perfect match that leaves you with enough room to move and store your things well. Secondly, your choice ought to be appealing to the eye and also increase your efficiency while in the kitchen. This is the reason why most people in Singapore hire a professional renovation or interior design company to handle their kitchen transformation due to the intricate calculations and considerations involved. Lastly, all the above points capture the effective considerations and methods that any person in Singapore ought to consider when looking for the perfect kitchen cabinets to fit in their HDB. Finding the right cabinets to fit in the kitchen is always a daunting task but these important points can act as a guide to assist any homeowner in Singapore get the right products. Renovating your kitchen usually improves the overall look of your home and also its value.